The Tennis Club 1st August 1938. Names needed. On our ramble Easter 1940. We had just had our lunch in a field at Downham. L-R Douglas, Marjorie, Peter, Dorothy with Jean in front of Douglas. 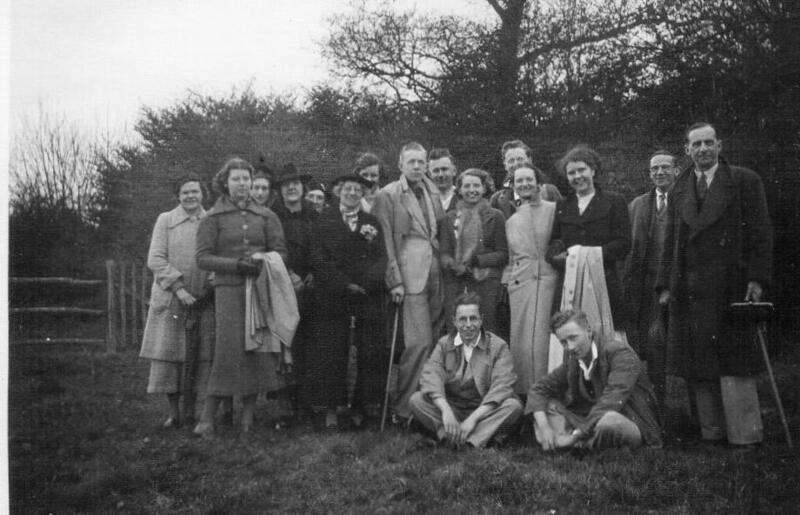 Nearing Billericay, L-R front row Marjorie, Hilda, Peter, Leslie and Erica, behind Jean, Douglas and Dorothy and right at the back Susie. I have just come across some photographs of my great aunt Dorothy Dunger who must have been a member of the local tennis club in the 1930s and a keen rambler. Dorothy was a music teacher at that time and lived with her parents Albert and Margaret in Raymonds Drive. Dorothy later married (Ernest) Vic Cook. 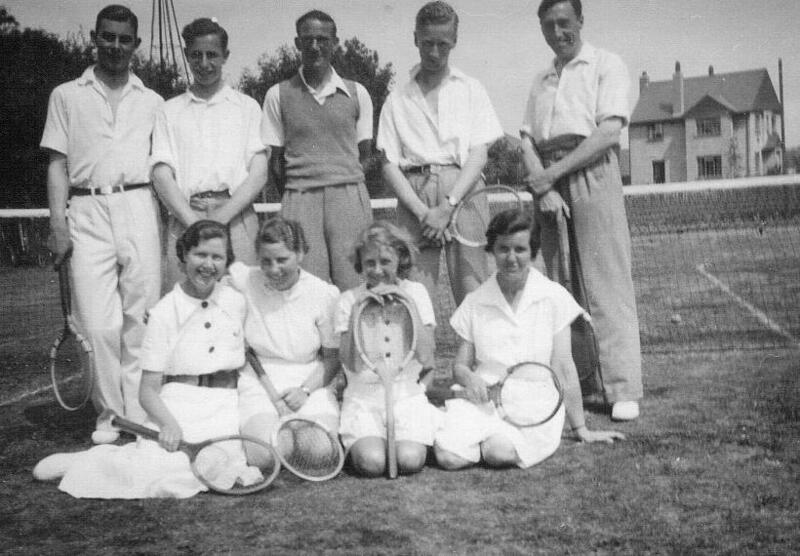 Picture 1 has Tennis Club 1st August 1938 on the back. No names. Picture 2: On our ramble Easter 1940. We had just had our lunch in a field at Downham. 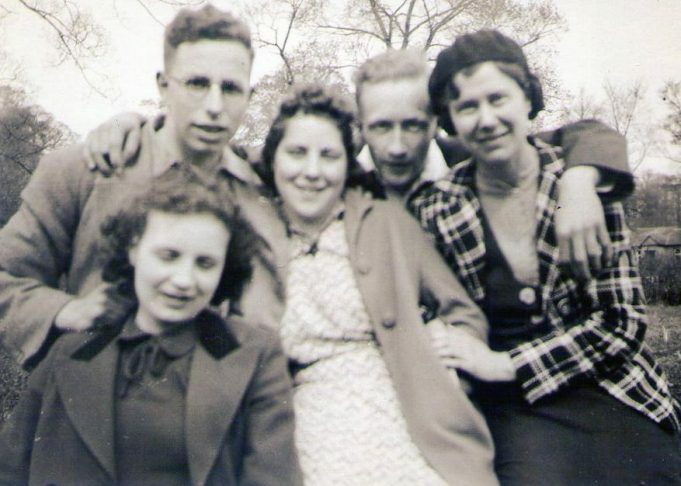 L-R Douglas, Marjorie, Peter, Dorothy with Jean in front of Douglas. Picture 3: Nearing Billericay. 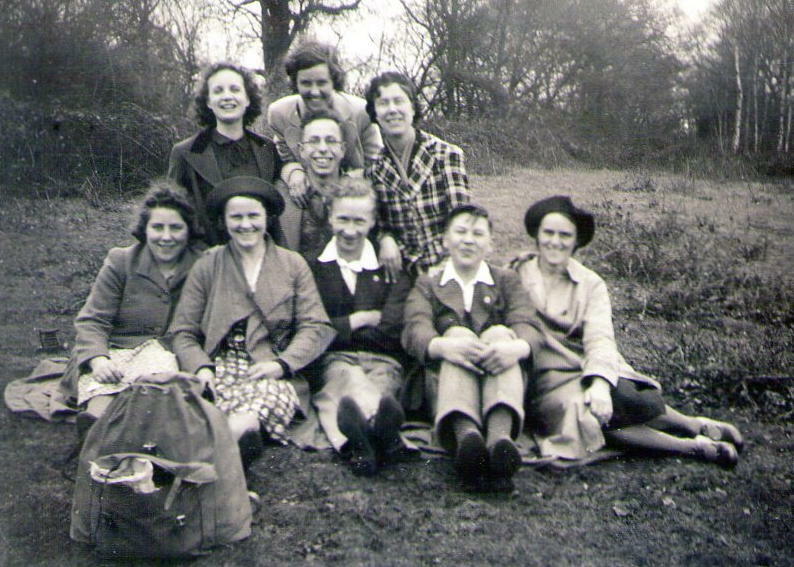 L-R front row Marjorie, Hilda, Peter, Leslie and Erica, behind Jean, Douglas and Dorothy and right at the back Susie. Picture 4: 18th April 1938. M G members on a ramble through the Hanningfields. No names. It would be great to know if anyone knows any of the faces on the photos.